The School of Media and Journalism aims to build a state-of-the-art media center with part of a $21.3 million gift from the Curtis Foundation announced Friday. The $10 million gift is the school’s largest ever. • To-be-decided future endeavors of the University, which accounts for the gift’s remaining $5.3 million. Don Curtis ’63 and Barbara Curtis in 2003 founded the Don and Barbara Curtis Excellence Fund for Extracurricular Activities to encourage and support learning experiences outside of the classroom without the worry of cost. In 2017-18, the fund provided for 43 students to have real-world, hands-on experience related to their chosen field of study. The gift will fund construction of the Curtis Media Center, a flexible space that will bring together students and faculty in a collaborative environment. UNC plans to tear down the Phillips Annex, a small, nondescript 1925 structure that stands between Phillips Hall and Memorial Hall, for the site for the media center. The teaching and production facilities are expected to offer students immersion in experiences to develop critical thinking, creativity and collaborative skills. The center will be available to students and faculty from other parts of campus as well as those in the media and journalism school. The building, which is expected be completed within the next four years at a site yet to be finalized, requires approval of the trustees. The rest of the gift to the school will be used to expand the excellence fund and to establish a new fund to support programs within the school. Curtis, chair and CEO of the Curtis Media Group, established the Curtis Foundation in 1979. He is a former member of the Board of Trustees and a 2005 recipient of the William Richardson Davie Award, the board’s highest honor recognizing service to the University or society. Curtis is a past member of the GAA Board of Directors, was the board’s chair in 2011-12 and received the GAA’s Distinguished Service Medal in 2014. Don and Barbara Curtis, who are former members of the board of visitors of UNC’s Lineberger Comprehensive Cancer Center, founded the UNC Children’s Hospital Radio-thon, which has raised millions of dollars since 1998. 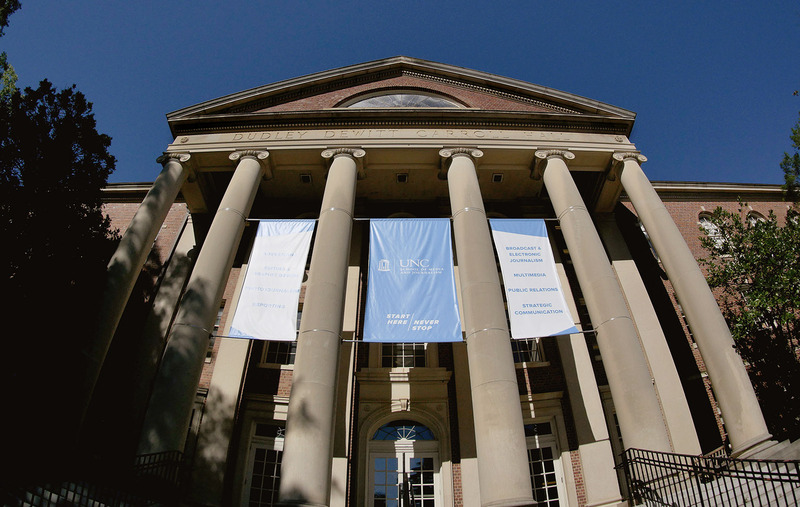 In 2006, Carolina renamed the auditorium in Memorial Hall as the Beasley-Curtis Auditorium to honor the Curtis’ contribution in renovating the dedicated space for the arts on campus. Barbara Curtis is a member of the board of the Medical Foundation of North Carolina and UNC Cardiovascular board of advisers. She and the Curtis’ daughter, Donna Curtis McClatchey ’93, also are foundation trustees, and McClatchey is on the Carolina Women’s Leadership Council.